Our Bournemouth skip hire service provides businesses, individuals and tradespeople with a reliable waste removal service, which is low cost and available throughout the BH postcode area. For great Bournemouth skip hire prices, please call 01202 579579. Our Bournemouth skip truck is available for hire on an ad-hoc basis or as part of a scheduled waste management service which includes, daily, weekly and fortnightly exchanges. Most of the time we can offer the same day skip hire (STA) service anywhere in the Bournemouth area. For customer convenience, we offer both 6 yard skips, 8 yard skips and 12 yard skips. 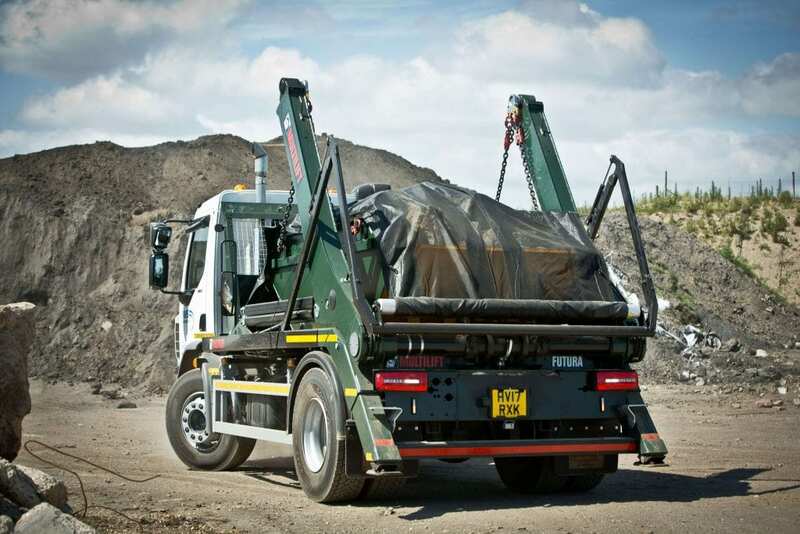 For larger projects, we can offer RoRo hire, grab and tipper truck site clearances. Please note certain waste streams are prohibited from mixed waste skips, these include hazardous waste, asbestos, batteries, WEEE, fluorescent bulbs, chemicals, paint, tyres, medical waste, compressed gas cylinders. Also, Plasterboard must be disposed of separately to mixed waste. Customers of our Bournemouth skip hire service receive a single point of contact to help safely and legally coordinate all aspects of their skip hire. The service includes obtaining on-road permits, organising collections & exchanges and supplying signage, cones & lamps if and when required. We aim to always offer great skip hire prices in Bournemouth and regularly check the prices our competitors are charging locally so that we remain very competitive. Our Bournemouth skip hire prices do vary depending on the size of skip, the waste to be placed in the container and the location of the site or home the skip is being delivered to. To receive our very best skip hire prices in Bournemouth please contact our friendly team on 01202 579579. Booking skip hire in Bournemouth? Our skip hire is easy to organise, simply get in touch with a member of our team on 01202 579579 or email enquiries@avonmaterialsupplies.co.uk.